The Novena to the Holy Spirit is started on Friday, 6th Week of Easter. We can start the prayers by today. However, in my Prayer Clock, I have mis-calculated the day. 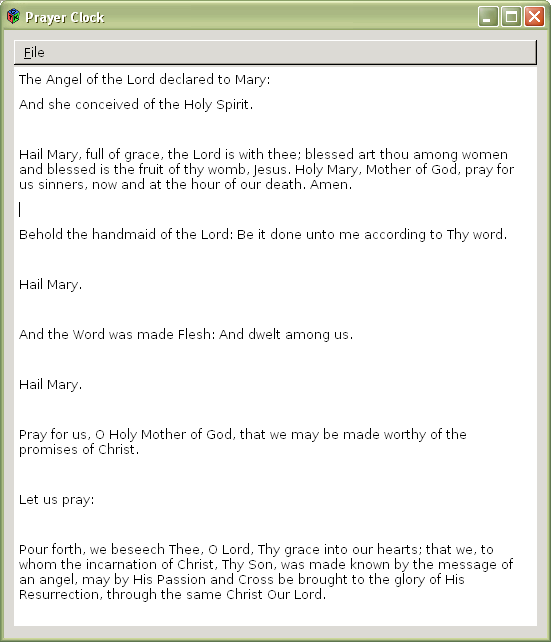 Please, if you are interested, download the prayers.xml from my site. I have written a commandline using python, which can download the comic in “tieba.baidu.com”. Because I can find the updated comic in “tieba”. But I prefer to use my own comic viewer to read the comic images. However, the image files in “tieba” are not named in sequence. So, if I want to save the images, I need to download the image 1 by 1 and rename them 1 by 1 in sequence. That is a repetitive and boring task. So, the commandline I wrote, will download all the images in a tieba link, and rename all the images in sequence. If you are interested, you can try it here.